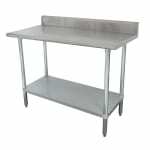 The Advance Tabco KSLAG-244 work table has a stainless steel top that resists minor damage and facilitates cleanup. The top has a rolled front rim and square ends to eliminate sharp edges that could cause injury. It has a 5-inch backsplash to keep items and liquids from spilling over the table’s rear. The legs are constructed of tubular stainless steel and have adjustable bullet feet that keep the unit level on uneven surfaces. Its undershelf is made of stainless steel and is adjustable to fit different equipment and product sizes. It is secured to the legs with an aluminum clamp instead of nuts and bolts for a sleek appearance. 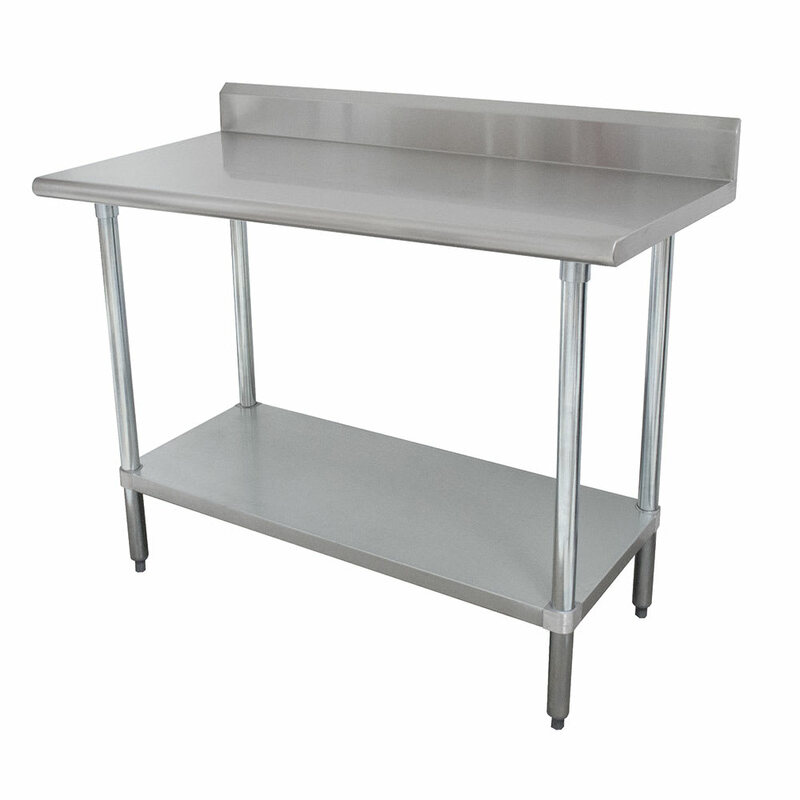 The Advance Tabco KSLAG-244 work table has a TIG-welded construction that adds durability. The welded areas are polished to make the surface smooth and consistent.